Another view from the crane gantry shows the relative position of the Parsons turbine and the three control panels. The emergency escape winch pulley mechanism from the crane gantry can be seen in the lower right of the photograph. 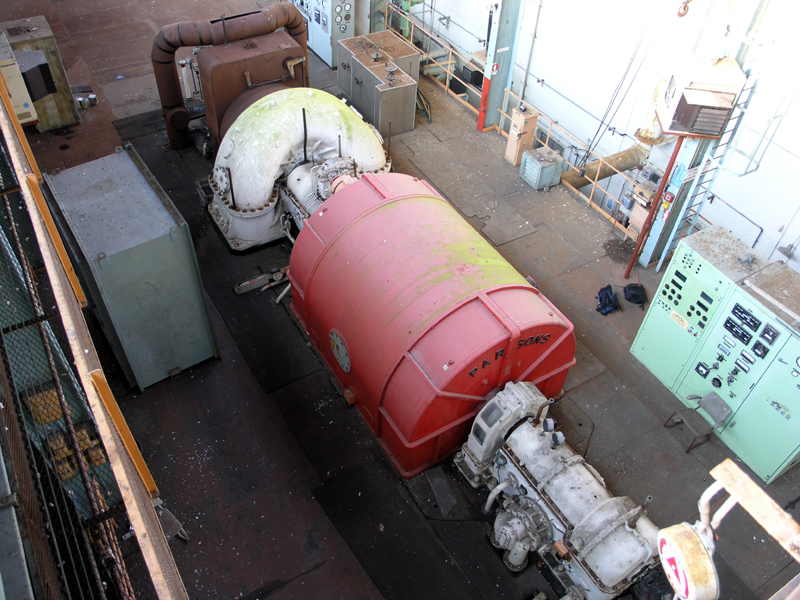 Elevated view of the Parsons generator.